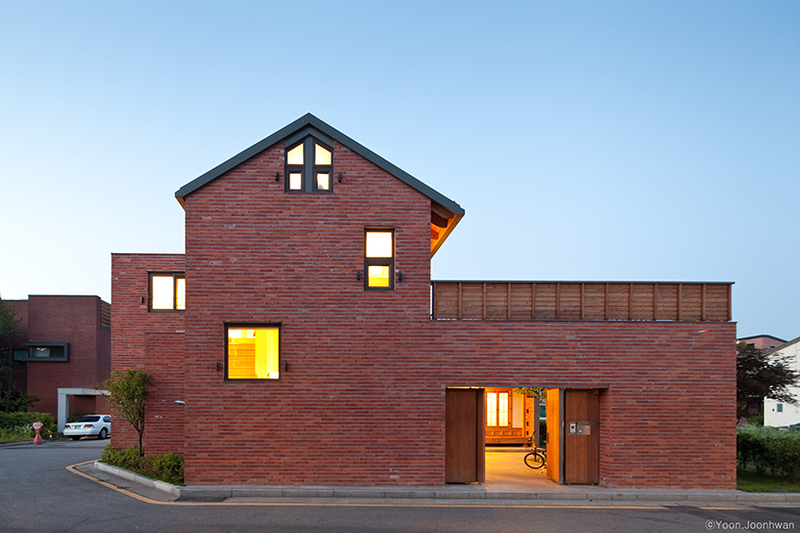 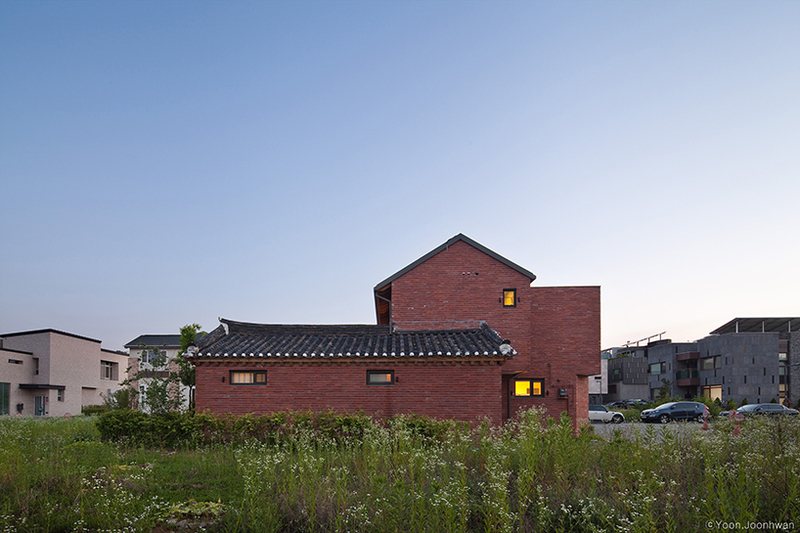 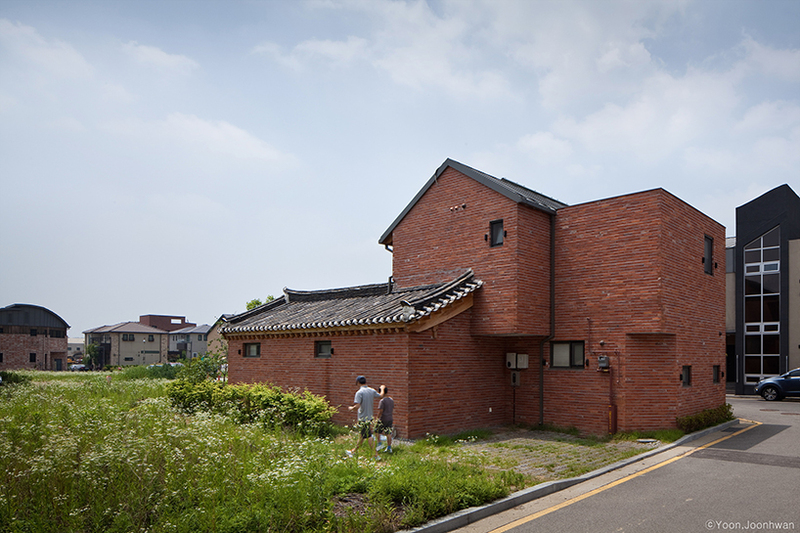 korean studio guga urban architecture has married this contemporary red brick home near seoul with a traditional korean style of architecture known as ‘hanok’. 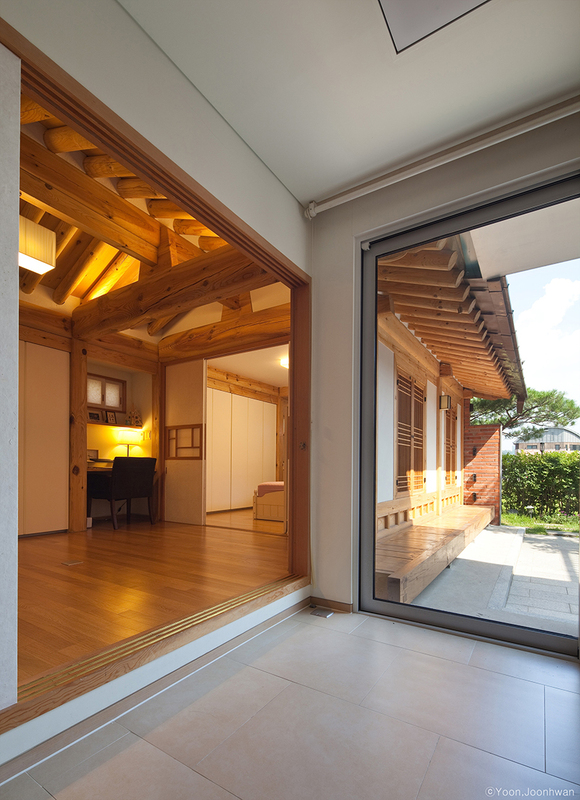 the clients had two demands for their house: that it be a restful space for them and a spacious home for their two children. 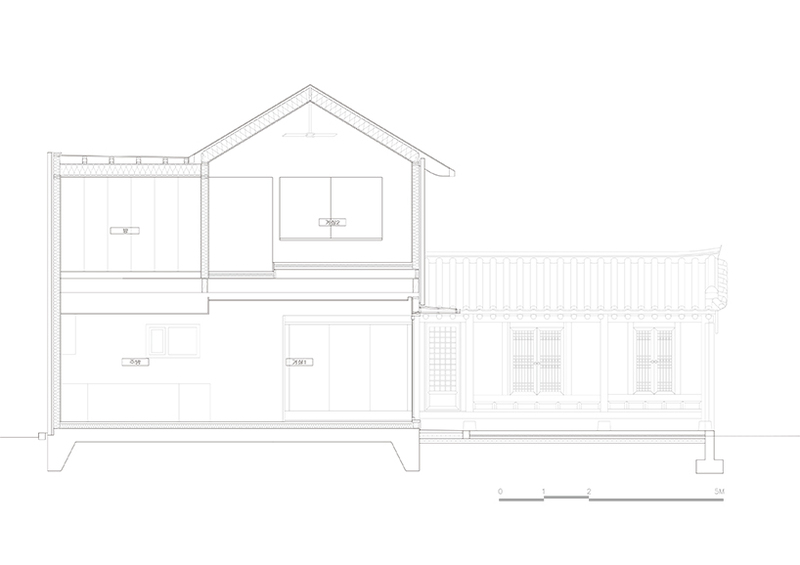 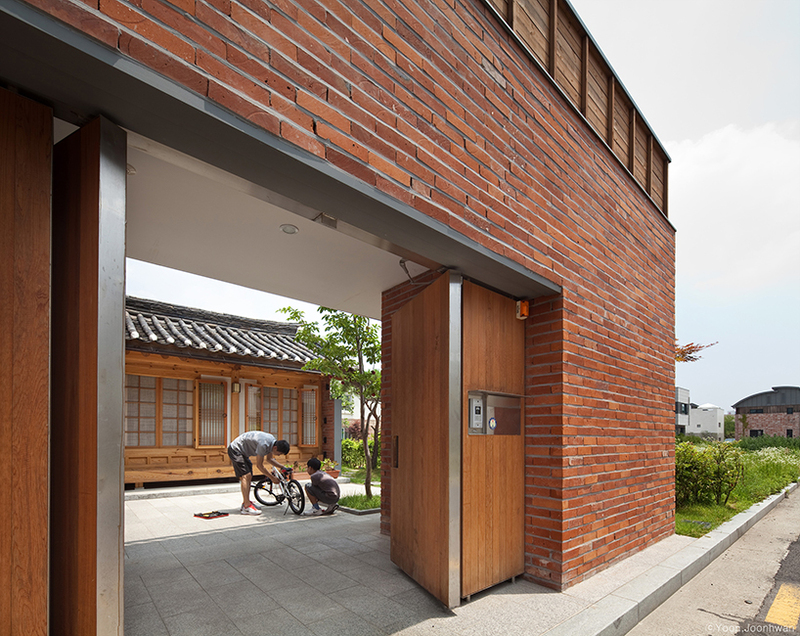 the solution was to embed hanok design into a contemporary building. 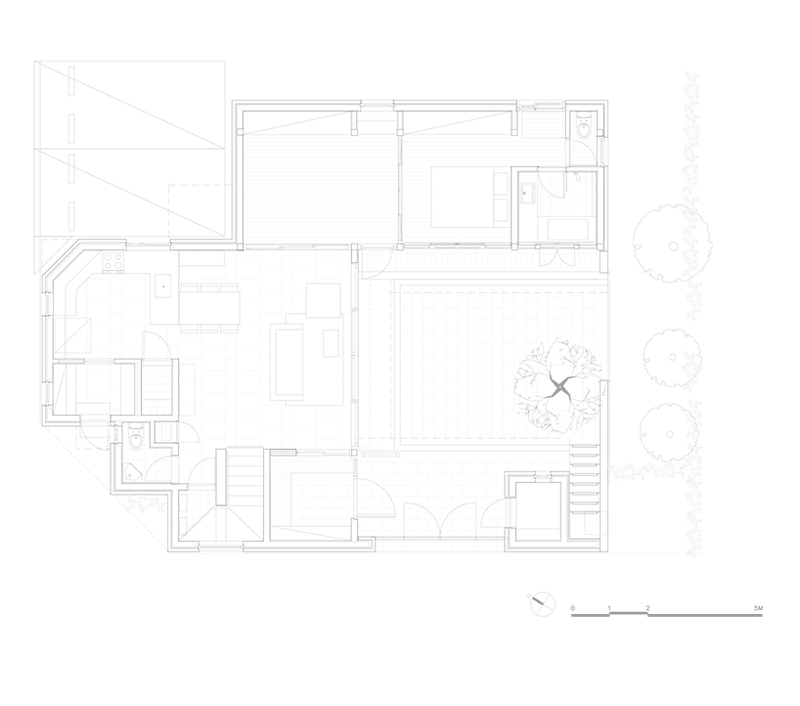 ‘there were two requests. 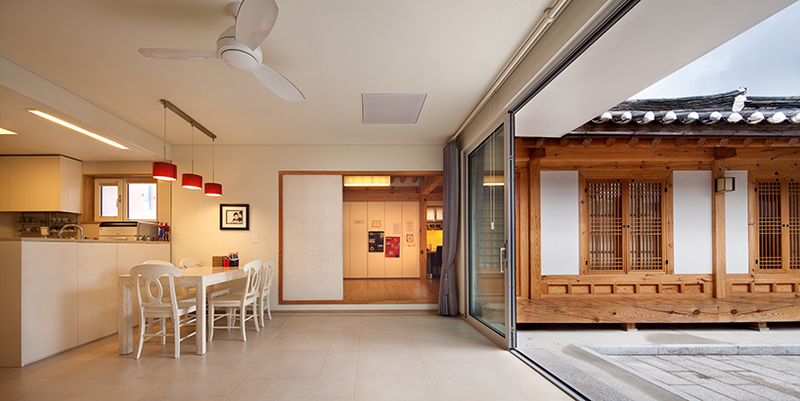 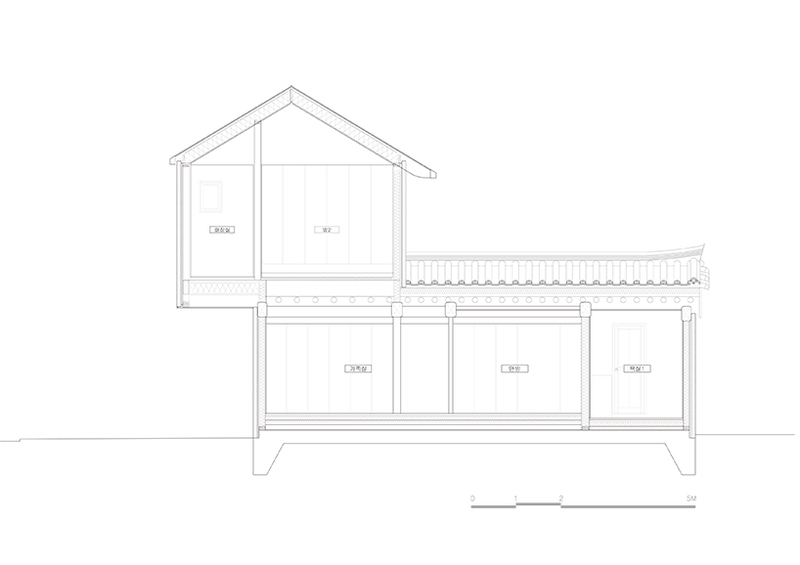 firstly, a part of the house should be hanok. 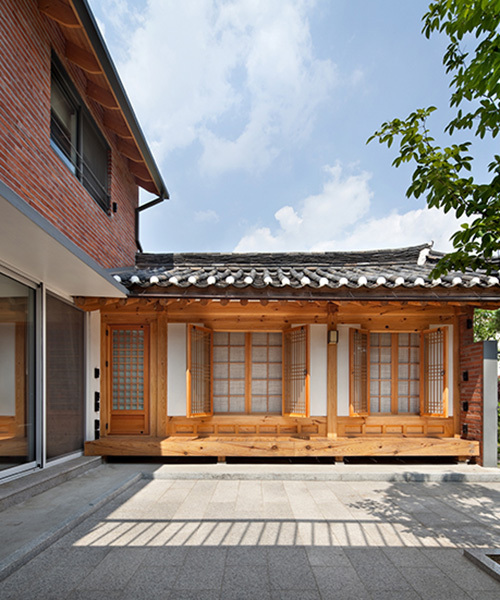 secondly, it should have madang, korean garden, facing south.’ segmented into three distinct volumes, the house — called ‘hamyangjae’ — effectively marries the contrasting styles by arranging the building into an inward facing, sheltered orientation. 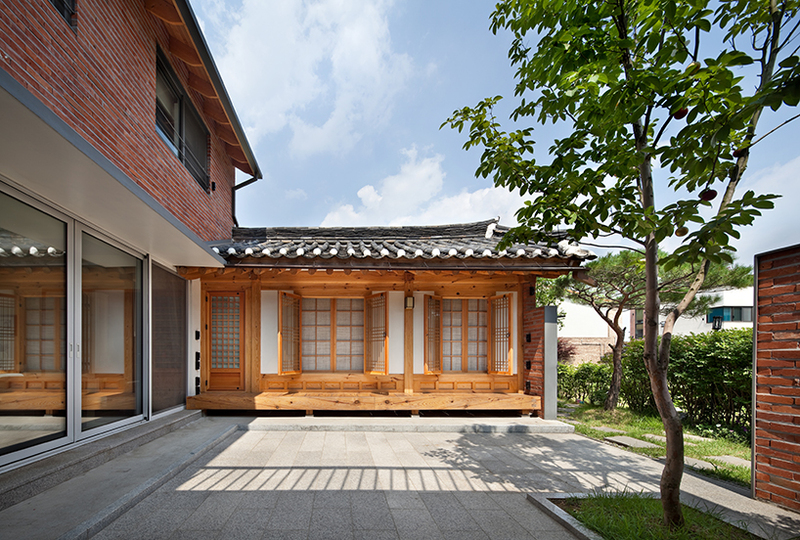 made coherent by its uniform red brick facade, hints of hanok — such as the traditional style ornate roof — are visible from the outside. 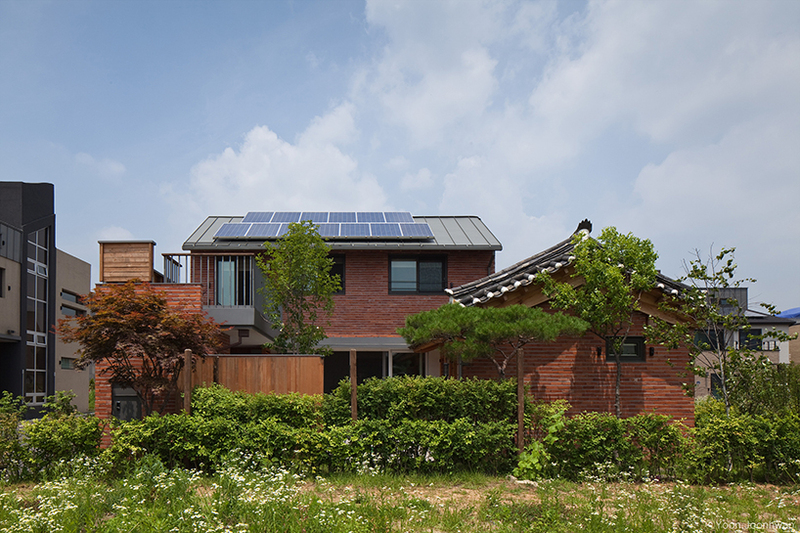 by aligning the three volumes to create an inner madang courtyard and garden area, the architects both provide privacy to the family (fences are not permitted in their neighbourhood) and dilute any possibility of disconnection between the volumes through use of the shared green area.